Kimberly Franklin: Interview & Giveaway Time! I was incredibly fortunate enough too get a chance to interview this fabulous and very sweet lady not to long ago. She is the author of Twenty Boy Summer, which if you haven't read it yet, you definitely should! It was breathtaking, funny, extremely sweet, and definitely on my list of top 5 books I've read this year! Twenty Boy Summer was one of the two books that really opened my eyes to contemporary YA. Which means I shouldn't even have to explain how excited I am to read her newest novel, Fixing Delilah--released December 1! But I will anyway. I'm SUPER EXCITED! I've already bought my copy and can't wait to dig in! 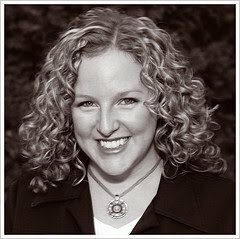 So, without further ado, I give you Sarah Ockler, author extraordinaire! Covers. They're what I love the most, so that's where I'm going to start. I'm in love with your covers. Both of them! The first time you saw them, either one, what did you do? Thank you! I'll talk about the Twenty Boy Summer cover first, because that experience was made even more intense since it was my first book. I literally squealed, then cried. It was so beautiful, and it perfectly captured the essence of the story--especially with that red piece! It was even better than I imagined. I'd seen earlier comps and heard about the direction they were considering, but I never expected the final version to be so amazingly perfect. The best part was that my publisher sent me some of the sea glass they used in the photo shoot, so now I have an awesome memento. With Fixing Delilah cover, after having been through on book launch, my first thought wasn't about crying... it was about marketing. As soon as I saw those adorable paper dolls, my brain said, "Ooh! Just think of all the cute paper-doll themed things we can do for marketing!" I'm already working on yellow paper doll cookies for my launch party. :) Just goes to show you how much your mindset shifts from the first book launch to the next. I'm so fortunate to have such beautiful covers, though. Props to Saho Fujii at Little, Brown, who designed both of them! After covers, the second thing I notice when I walk into a bookstore to browse are titles. I love titles second best, and I'm very bad at coming up with book titles. But I love yours so much--Twenty Boy Summer & Fixing Delilah. They're so simple, and I think that's what makes them so catching. How did you come up with your titles? Both titles actually came to me before I started writing the books. The Twenty Boy Summer title was based on a goofy contest my best friend and I had one summer when we were teens. We wanted to see who could kiss the most boys, and I won, 20 to 17. That summer became known as my Twenty Boy Summer. Very classy, I know! Anna and Frankie's summer turned out very different from mine, but I knew I wanted to include that title. With Fixing Delilah, the title came to me as I was thinking about the characters and their broken family. For me, a lot of times, the titles kind of guide the story. Both were original titles, meaning they pretty much stayed the same from first draft to final cover. The only change was that with the current book, we shortened it at the last minute from Fixing Delilah Hannaford, just because it was kind of long, and Fixing Delilah got the point across more succinctly. Oh Sarah, you have no idea how happy it makes me to know that Twenty Boy Summer was actually real! As a writer, I always spend way too much time trying to figure out which POV and tense I want to write my story in (which, this lady right here, knows how to write a present tense novel. Brilliantly!) . So I'm curious to see if you think about the same things before starting a story? Thank you! I don't know, I just kind of hear the characters in first person present tense. That's how they come to me, and I'm very comfortable in that voice. It doesn't mean I won't change it up in the future, but for now, first person present tense is where I live. Which brings me to my next question: Are you an outliner or pantser? I'm kind of a combo girl. Yikes, would that make me a ... pantyliner? Okay, sorry, that's gross! Ahem. Moving on. With Twenty Boy Summer I didn't do any outlining--just wrote and rewrote as the story developed. With Fixing Delilah, I spent a little more time outlining, then I'd go back and change my outline as the story changed. With my current project, I had a pretty complete outline before I started. I guess it just depends on the project. Is there any type of scene you prefer to write over another? I love emotional scenes, especially if there's crying and/or kissing involved. And crying while kissing? Even better! Kissing scenes! I live for those. And if I remember correctly (which I'm positive I do! ), I believe Twenty Boy Summer has a few of those very kissing/emotional scenes. So, can you tell me if you have a favorite scene in Twenty Boy Summer? I love the scene when Anna first meets Sam and starts having these feelings and doubts. There something very sweet about it, and complicated, considering her feelings for Matt. I also love the final scene in Frankie's room. This was the summer that really changed their lives--maybe even more than the summer when Matt died--and a lot of things are brought out into the light. Twenty Boy Summer was your first published book, can you share with us how many first drafts you wrote (obsessed over) before you knew it was ready to query? Well, I worked on it off and on for about four years, but I never re-wrote a complete draft. I'd do a few chapters, workshop them with my critique group at Lighthouse Writers Workshop, then re-write certain sections based on feedback. Some chapters didn't require any re-writing. And some went through about 10 different versions. I knew it was ready to query when I starting getting feedback from my group and a trusted writing mentor that it was in very good shape. After I signed with my agent, we went through another round of revisions, and then we went through a similar process with my editor after we sold the book. I completely love that quote of yours! It's so true, though I don't have any children either so I'm not sure where that leaves me. The next thing all aspiring authors love to hear about is the querying process. Can you tell us what it was like for you the first time around? I was extremely fortunate to have a short-n-sweet querying process. I did a lot of up-front research to target agents I felt would be interested in my type of manuscript, and then I spent a lot of time polishing and perfecting my query letter. I sent out 11 queries, most of which resulted in requests for partials and fulls, and within three weeks of sending out my first letter, I signed with my agent. It was a crazy, nervous time involving a lot of ice cream and obsessive email checking, but I survived. Yes. Every rejection is discouraging, but you have to learn to take it in, feel it, and then move on. Just as a group of readers in a bookstore will each pick out something different, agents are the say way. You want an agent who's absolutely in love with your book--don't settle for anything less. Any suggestions for aspiring authors? The best advice is simple: persevere. Rejections happen, even to published authors. If you really want to write, you have to just keep writing, keep trying, keep querying, editing, revising, trying again and again until it happens. Think of it as training for when your book is finally published--dealing with negative reviews is even harder than dealing with agent rejections! :) For those of you who are embarking on the agent search, take your time to research agents and target those who you feel would be the best fit. Ask questions. Ask for references. If your considering agent offers, you may want to check out this blog post: Literary Agent Offers: Don't settle! So, can you tell us a little bit about Fixing Delilah? Any deep, dark secrets you can reveal about the book? One of the things I love most about Fixing Delilah is that it's really a blend of things I've experienced in my own family, happy and sad, mixed in and acted out by this fictional family of women--the Hannafords. I decided to make them only women because I really wanted to focus on the crazy, tumultuous, and intense bonds that women in families share. Mothers and daughters, sisters, aunts and nieces--there is so much love and tragedy and animosity and attachment in those bonds--it just felt really natural to write the story that way. Before I started the book, two of my aunts passed within a year or two of each other, and as we put together pictures and stories for their memorials, I remember thinking how each of us has this whole history, and so often, that history dies with us. There was so much about my aunts that I didn't know, and now I'll never get that chance. And even though my mother is alive and well, there's so much about her that I don't know, and so much about myself that I've kept from her. That secrecy and history is something Delilah really struggles with throughout the book, and it's something I think all women and girls can relate to. I can't wait to read that part! Now, you're apart of a group of YA contemporary writers called, The Contemps. What is it like to be apart of that group? It's an honor to be part of The Contemps. We're all so passionate about contemporary realistic fiction, and it's nice to have a posse of other writers who are all excited about one another's work. Can you tell us a little about the group? The Contemps are 21 YA contemporary authors. 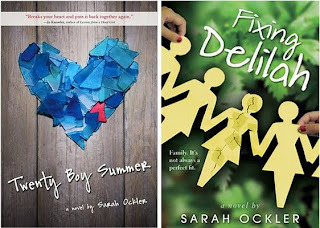 We do regular blog posts spotlighting contemporary YA fiction, contests, and something we share TMI from our own embarrassing teen years. Our goal is to share our love for contemp YA with readers everywhere. Check us out at http://www.thecontemps.com/! And for one last question: Did you always know you wanted to be a writer? I think I always knew that I wanted to write, I just didn't know I could actually be a real live writer. It took me a while to realize that I didn't have a choice--writing chose me as soon as I learned how to read, and it's been chasing me down ever since. Okay, so I lied! My last, one last question: To you, what's the best part of being a writer? Getting to work in my pajamas! Okay, really, it's waking up every day knowing that I'm getting paid to do what I love. It's not always easy, but it's always rewarding, especially when I get to interact with readers. I'm so grateful to have the opportunity to write for teens! Favortie place to write? I love writing in coffee shops--just the right amount of noise and yummy coffee smells! But if I don't like getting out of my PJs, I'll work on the couch or at my desk. Snacks: salty or sweet? Both! But my favorite is Smartfood white cheddar popcorn. What's the one food you couldn't live without? Veggie korma, though it's been a while since I've had it. Hmm... maybe tonight for dinner! Say you met a genie and he agreed to let you bring to life one character from any book, who would it be? Sal Paradise from On the Road, who is a thinly veiled Jack Kerouac, whom I've always wanted to meet. Before I go any further, I want to thank Sarah for taking the time to answer all of my questions! And in order to show my many thanks, not to mention my love for Sarah's books and writing style, I'm hosting a giveaway. But I'm not just going to give away a copy of Fixing Delilah. No, that wouldn't be enough. Especially not since we talked so much about Twenty Boy Summer in this interview! That's why I'm giving away a copy of Twenty Boy Summer and Fixing Delilah to one lucky winner. 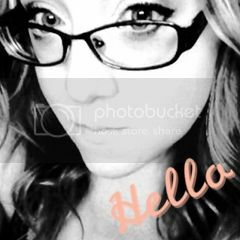 All you have to do is: 1) Be a follow of my blog (required for entry). 2) Comment on this interivew post (required for entry). 3) Fill out form below (required for entry). 4) That's it. Just comment on this post and fill out the form. Extra entries avaliable, but you must fill out the form to see what they are! The deadline for entry is January 20, 2011 at 6:00PM CST. So get those entries in! And good luck to everyone! OH.MY.GOSH. Kim that would be so brilliant! I'd love to win both copies! I just wrote them down for my Christmas wish list but it'd be so super savvy if I got them both here!!! How fun! The interview was amazing (you always rock at interviews!) I love that they were close to the original titles, that Twenty Boy Summer started off as a game and how there is already a marketing plan with paper dolls!!! I think I might have just become a #1 fan! I'll be sidebarring about this and blogging, tweeting about this (I'll email you later the links!) on both of my blogs!!! Wow! Great interview Kim!! She sounds fab! And what a positive querying experience! It's good to hear about those from time to time! Ha! A pantyliner! I love it! Great interview, ladies! Thank you, Kim. I won't sign up for the giveaway since I'm overseas, but I wish everyone good luck! Sarah totally rocks!! That interview was awesome. So many questions answered. Such a great interview!! I feel like Sarah and I would get along famously! So many of her answers made me think yes yes yes, me too!! Well, except I don't have books like hers, and I never experienced my own Twenty boy Summer--wish I had though! Super contest, Kimberly! If I get a chance to post in the next couple of days, I'll try to get a contest mention in for you. I'll leave your blog up as a reminder! 11 queries and 3 weeks until she got an agent??? So awesome! Love this contest...thanks for holding it. I don't have either book. I love love love Twenty Boy Summer. Sarah did an amazing job with the emotions. I cry everytime I read the book (or a scene from it). I've ordered Fixing Delilah, but it hasn't come yet. Wonderful interview, ladies. I have Twenty Boy Summer and look forward to reading it. Fixing Delilah is on my wish list. I loved this interview! Both covers are so beautiful and I love the titles - especially knowing that Twenty Boy Summer comes from a REAL 20 boy summer - too cool! Pantyliner--hilarious! I'm one of those and I think I need to steal that term because it's too funny. Will check out that link on "not settling". Great interview; loved how you separated all...very easy on the eyes. Kim, when you have a chance, I've a little something for you at my place. A very nice interview, I like the topics listed, but really enjoyed her character a genie could bring back to life. My copy of On the Road was worn and tattered. A friend leftit in Paris airport, a befitting share hopefully with someone else on the road. Great interview. 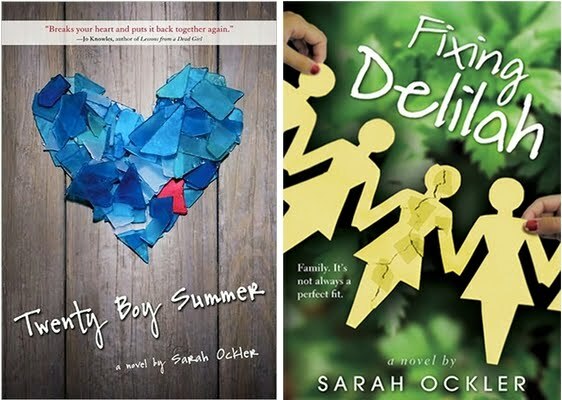 I love the covers of Sarah's books too! Twenty Boy Summer's especially is great and I think it's so cool that the publisher sent her some of the sea glass. New follower to your blog. Great interview! You asked questions that I would have asked. Haven't read either book, but I've heard great things about both. Awesome interview! Pantyliner, hilarious! I've heard nothing but positive things about both books, thanks for the chance to win. Great interview! I've read Twenty Boy Summer and I really like it. Can't wait to read your other book! Great interview! She's definitely lucky to have such beautiful covers. I haven't read either but I sure would love to! Twenty Boy Summer is at the top of my list of books to buy. I can't wait to read it and I especially love the cover. I've heard so many great things about it too. I can't believe I almost missed this contest!!!! Enter me, enter me! I can't wait to read Fixing Delilah! I really want to read both of the books. This is awesome! Ahh! I love Sarah Ockler! Ooh, I'm definitely going to join The Contemps. Sounds so perfect to me. Ooooh and coffee shops! That's an awesome setting for writing. I just wish there was one near where I live! I really enjoyed the interview and I really want to read both books heard so many great things about them! What a great giveaway thank you so much! Great interview! I can't wait to read both of these books. I read Twenty Boy Summer last year, and absolutely LOVE it! It is definitely one I would reread, so I would love to win a copy. I have Fixing Delilah on my list to read, as it sounds really good. What a great interview. When I read pantyliner, I almost choked on my coffee!